It's summer. You're sweating on a subway platform in the Hamptons with your three-year-old daughter. You decide to take a shopping trip to Ralph Lauren. Then, you notice your little one has started playing with another kid in the store. 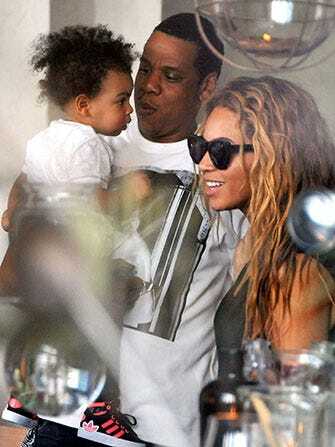 It just so happens your bundle of joy has made friends with Blue Ivy and Beyoncé, who also happen to be shopping there. No big deal.